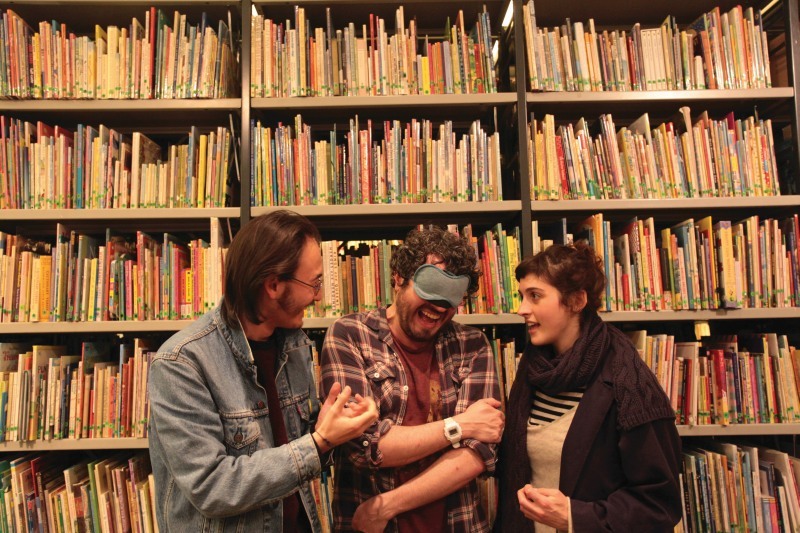 ROOM is a collaborative, improvised story told by three performers for a single audience member. It takes 25 minutes and you are blindfolded. The work is driven by the audience member and it just so happened that I gave myself a completely life-changing experience. They prime you with an initial premise, painting a scene in which you are the protagonist, leading you with sublime sensitivity towards an increasing autonomy within the story. Providing subtle foley sound, and taking their cues from your responses, the performers are skilful facilitators of the audience member’s role in the work. Thus I wove a tale of spiritual annihilation: my body became a town, a planet, my toes distant stars, I died and weeping into my blindfold I fell in love with the universe. Awaking on a distant shore I was a centaur, a realisation about myself which blazed through my consciousness, disparate elements of my personality uniting in a sudden symbolic understanding. Trees pulled me down to the forest floor and I became the soil as a lotus bloomed from my chest. I had during the course of the performance left my physical body and entered completely into my imagination in a way I have not experienced since childhood. In a more enlightened society there would be ROOM booths as regular as pubs and you could drop in any ti me you wanted to use your imagination. ROOM reunited me with something fundamental about myself, about what it means to create, about how we are all stories telling ourselves. I felt reconnected to my humanity and the boundless creative possibilities of the imagination. I left walking on four legs, half man and half horse, a creature of my own creation. Artist, actor, performer, and writer. A proud member of residence.org in Bristol. Trained at Ecole Philippe Gaulier. He has had the good fortune to be supported by Arnolfini, Bristol Old Vic and The Basement in the creation of some of his four solo shows. In his writing for Total Theatre he attempts to met each show on its own level and respond to the thoughts and dreams it sets off in his head.